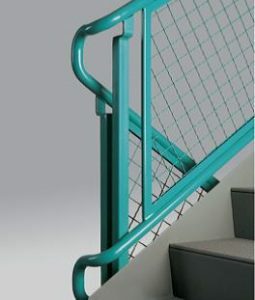 Railings provide both safety for users and unity in the overall design. 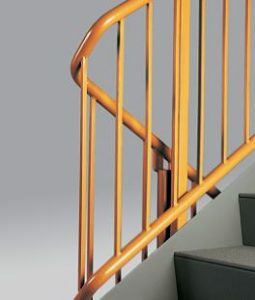 Standard railing from American Stair can be vertical picket, horizontal strand, mesh infill panels, or a combination of any of the three. 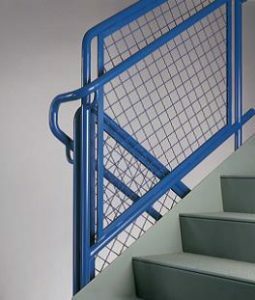 All of American Stair’s standard railings are fabricated from quality welded steel. For added durability, structural tubing is used for our standard FadeAway™ post. Dimensional requirements, including rail height or the spacing between strands, can easily be modified during the design process to ensure your final product meets code. 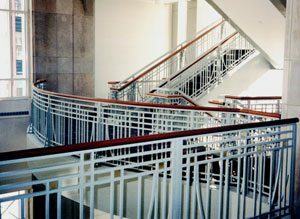 In addition to our standard railing, American Stair will build steel railings from your architectural drawings and specifications. 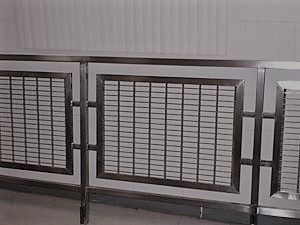 The size and shape of infill panels and top or bottom rails can all be customized to fit perfectly into your design. 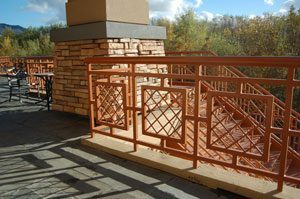 Perforated steel, flat bars, or custom steel mesh can be used together to produce a truly unique railing system that will surely complement the finished structure, both inside and out. The colors shown on this page are for illustrative purposes only. 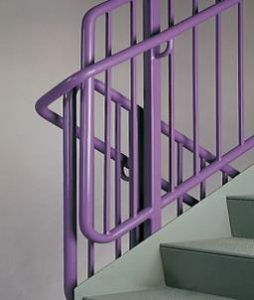 Your material arrives either primed or galvanized and ready to be prepped for the final finish.